Quarto, softcover, near fine in blue pictorial wraps. 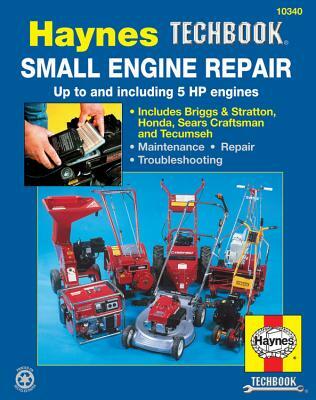 up to and including 5 hp engines haynes techbook 10340. Inside this manual you will find routine maintenance, tune-up procedures, engine repair, cooling and heating, air conditioning, fuel and exhaust, emissions control, ignition, brakes, suspension and steering, electrical systems, and wiring diagrams. 290 pp. including index.